Nicolas Renard is one of these top vintners who one day vanished and went off the map in spite of their having a cult following for their wines. B. and I visited Nicolas years ago at the time in 2005 he was the vinificateur and cellar master for Marie-Annick Lemaire at Lemaire Fournier, a domaine that closed its doors since, alas. The domaine which was purchased by Marie Annick Fournier after she won big at the national lottery and invested by passion in this domaine, was turned organic and had its wines vinified naturally thanks to Nicolas. Annick Fournier stopped her activity a few years later, from what I heard she suffered from the incomprehension and nastiness of her peers in the region, she was an outsider, a woman and she was into organic farming and natural wine, which easily made you the black sheep in any wine region then (and still even today we could say). Anyway, Nicolas Renard then shined among informed wine people for his aptitude at yielding terrific chenin wines, and many people wondered when he'd resurface and where. Here he is. After Lemaire-Fournier Nicolas says that he stopped and took some distance, not that he was tired of making wine but because he was tired of the vignerons and their incomprehension. He then joined a friend of his, Thierry Allemand and worked with him 2 years, in 2006 and 2007, doing some pruning and fixing a walk plow among other things. Meanwhile he also rented a half-hectare parcel in Saint-Peray nearby, this was for a year only, because of the zoning changes it was to become construction land [a plague for good terroirs in many places in France]. He made 700 bottles and the wine never formally reached the market. 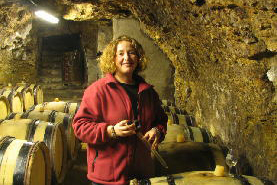 In 2008 he tried to buy back the small surface of Elise Brignot in the Loire (Montlouis), which was on sale for economic reasons (Elise wanted no other than him to take over the organic parcels) but alas the SAFER [the French agricultural administration overlooking the sale of farm land) preempted his purchase, because 4 other [conventional] vignerons asked it to in order not to see him make wine there [natural-wine is seen as a threat by many, a competition that devaluates the mainstream wines]. This was for him another blow and he went to work with Matthieu Barret in Cornas from 2009 to 2011, after which in 2011 he took some parcels in Ardèche, renting a few parcels. The deal there was discontinued because alas the owner didn't want to invest in the much-needed improvements in the vineyard, so he came back to the Touraine in the Loire, this was in 2013 and he made just one barrel of wine that year. 2014 was really when he settled here for good, buying this facility/cellar and making his first vintage from a 3-hectare surface. A few words must be said here about Amboise, this is one of these charming mid-size cities where you feel the gentle civilization of the Loire, there's something in these late 19th-century sansdtone buildings as well as the myriad of cellar carved into the hill (former quarries from which all this stone was extracted), it has also to do with the Loire itself, a river that was never subdued and keeps an impredictable character. When I arrived on my motorbike I noticed all these vegetable gardens right near the river below, the road and the city having been built at a safe height to anticipate the swings in the water level for which this wild river is known. Because of the regular swelling of the river in spring, the tidelands along the river banks receive this beneficial silt which locals have exploited for centuries to grow vegetables, and it's heartening to see that people keep having their private gardens there to grow their own products. In France we call these community gardens jardins ouvriers because tiny parcels were given for free at the end of the 19th century to working-class people so that they could complement their revenues by growing their own food (you find this phenomenon all over Europe, particularly in Germany, and the Soviet Union also did great in this field in its time). I see with this picture and post that an Aussie who lives in the region also loved the concept. Of course before these plots were turned into jardins ouvriers they were exploited by vegetable farmers for the needs of the Amboise population. After being working here and there, often for others like in the Rhone, Nicolas Renard was back on track with a handful of hectares to work from and this couple of cellars. The vineyards were rentals but he bought the cellars which have a house next to it, he had a lot of work to do as the cellars were cluttered with various objects and junk and he had to clear the main cellar and do some improvement on the floor by pouring a slab on its front part for the chai room. On the outside there's enough room to park a few tractors and vineyard tools. Nicolas says he's still doing some improvements on the facility, which is located along the hill facing the Loire river. Walking along this narrow street you realize that the hill is literally lined with cellars or former quarries, an ideal situation historically for the vignerons of the region, with easy access to the barges or flat-bottom boatss on the Loire downhill for the shipping of the wines. The pictures on the sides show you some nice renovations as well as remaining houses built against the cliff near the cellar doors (that's probably where the vignerons were living, at least during the harvest and vinification days). You have just to imagine that the vineyards were above, beyond the woods on the top of the hill. Nicolas Renard bought this facility in september 2014 just in time to vinfy his first vintage, his rented vineyard being planted with one hectare of Chenin, one hectare of Sauvignon (not what he was looking for actually) and one hectare of Cöt. His estimated bottle production is about 12 000 bottles a year, with a possibility to add more if he finds an interesting parcel. He says he could buy vineyards if given a good opportunity because the vineyard prices are very affordable also in this part of the Loire (Touraine), somthing like about 10 000 € an hectare, he even saw sales that were well below that in the area a couple years ago. 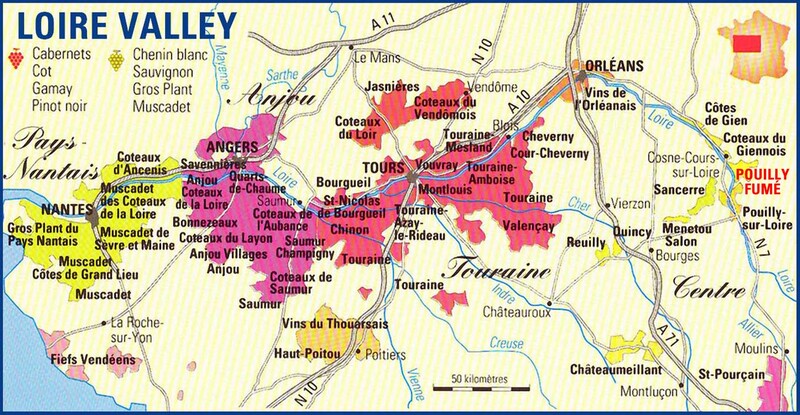 Touraine is not a hot real-estate market for vineyard land, which is a good thing when you want to start your own domaine. For Amboise the Touraine area created the Touraine-Amboise appellation which Nicolas think was not necessary, but the appellation people probably wanted to take advantage of the fame of the Chateau d'Amboise (an architectural gem for sure) and of Leonardo da Vinci's Chateau du Clos Lucé which sits 750 meters from there to raise interest on its wines. For his first vintage (2014) he did a bit of négoce, making wine with purchased grapes as he was courted for more wines in Japan. Alas he couldn't reiterate the operationthe following year because the owner didn't accept that he choose the parcels and set the picking day for the grapes he was to buy from him. Now this year there's been lots of fros and there may be a shortage of grapes to buy, everyone including the domaines being on the look for additional grapes to vinify. Speaking of this rebirth, Nicolas didn't have trouble finding buyers for his wines, most of his 2014 was sold immediately to Racines in Japan, Mrs Yasuko Goda having been an early fan of Nicolas' wines and had been waiting impatiently for him to restart his business. Actually I owe to Yasuko whom I visited last december in Tokyo to know about the whereabouts of Nicolas Renard, because there was no trace of him on the Web otherwise. Nicolas knows Yasuko for a very long time and when he was in Ardèche making wine there he sent her an email to tell here he was at work again and she replied that when the wine will be ready, let her know. They met in 2012 to taste the Saint-Peray 2011 and at that time she was excited to learn that he was thinking to go back to the Loire for a new start with Chenin, telling him to again keep her informed about his work developments. For the 2014 wines Nicolas still has the Sauvignon to bottle as he conducts a two-year élevage with it, and also the Côt, otherwise the Chenin is virtually all gone to Japan. Nicolas says that Yasuko would buy everything if he didn't allocate a small portion for the French market. He's still open to getting more surface, for example he'd love finding one additional hectare of Chenin either to buy or rent and he's looking around. But ideally, considering the type of time-consuming organic work he's doing in the vineyard he'd prefer not to go too much beyond a total surface of 3,5 hectares. Here above is the main cellar cave, it's so beautiful now but when Nicolas took over the place it was filled with junk like often when farmers turn these place into storage for their disused tools or ram material. You can see that it's very high, the quality of the stone was probably good and they made a bigger quarry here. There are other cellar rooms he has wxorked on yet, this one on the left is a smaller cellar with a door on the outside, there's more natural light as it's not that deep and he intends to clean it (beyond the mess it's pretty sound) and put a long table to sit his pickers and pour wine, that'd be the place to sit with visitors too. I love the way they designed a vaulted ceiling in all these quarries, it's very elegant. Nicolas does much of the work in the vineyard by foot, including the spraying of herb teas with a backpack sprayers, he didn't keep a straddle tractor, just a regular (vintage) tractor and also this gem of a mini crawler tractor that weighs lighter than a horse when you calculate the ratio of weight/contact-surface. We call these machines chenillards in French and they're not that common although I remember well the one Hirotake Ooka had specially imported from Japan for his Cornas slopes. He found this 2-decades-old model in the Bordeaux region, in the Médoc. He was looking for such a small-size tractor, it's not only light but a kid could drive it, there's no heavy wheel to turn and it's only 90 centimeters (35,4 inches) wide for a total weight of 1,4 tons, you can work on vineyards designed originally for draft horses because it's so narrox. 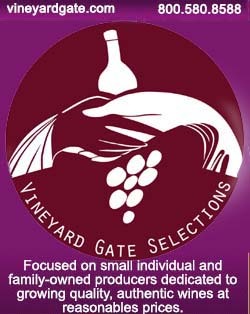 He even looks for an other one because he's been asked by a few wineries to do service work on certain of their parcels with it. Nicolas Renard considers his work in the vineyard central and does lots of experimental research and trials, especially with herbs and he succeeded to get rid of the copper use in the vineyards thanks to an intricate combination of factors, something very few organic growers are able (or willing) to do. He says he's pretty tired of the natural-wine fairs because he has the feeling that there is a communication mode for the vignerons regarding their organic practices and the reality is a bit (or much) different from what they say they do. He's not sporting an organic certification on his bottles, it's all matter of trust and Yasuko Goda his main buyer in Japan trusts him and doesn't need this. Certifications are little more than a commercial label for him, they give the label only after checking the accounting books & bills [to make sure no banned chemicals were purchased] and the checks in the vineyard or on the soil are virtually non-existent. Plus you can dumps tons of copper and for years naturally-extracted Rotenon-based organic insecticide was used although it killed everything, not only the targeted pests. He says there are a few vignerons he really trusts, like Christian Venier near Blois not far from here. Some domaine hire service companies to plow some of their parcels with a draft horse but it's very costly, something like 5000 €. He went to a friend's domaine recently to plow his 6 hectares of vineyards and it took him only 16 hours altogether, it's less poetic but more efficient and with a lighter weight impact on the soil. Speaking of Nicolas' vineyard management he has only made herb tea sprays when I visited, no copper and no sulfur. He says he coud do this after watching along the years how the vineyard react from certain situations, like for example he noticed that if you leave the weeds grow high under the vines in the young-leaves season the vines get less prone to Oïdium, he checked that eover the years by doing side by side rows with uncut high weeds and rows where he'd plow beneath the vines. Even among organic growers it's not understood that far grom being harmfull, high grass under the vines are highly beneficial during the strategic time window when Oidium is a threat. Then when the vine leaves reah a month and a half of age you can mow this grass under the rows because Oidium will be less a danger. Some say high grass brings humidity and with it mildew but this is misconception as mildew is in the soil in the first place, the humidity issue is secondary. There's something that works perfectly as a spray it's sulfur in its powdered form, what is called soufre fleur in French, but here again many growers including organic growers don't really understand how it works : Nicolas says that it's intended to be sprayed dry, as dust, and for a reason, but many growers mistakenly spray it in the morning in the faulty idea that thus the powder will stick to the leaves with the morning dew... That's completely off the mark he says, because the sulfur will kind of burn the leaves and harm the vine. In order to make the best use of your powdered-sulfur spray it has to be done on perfectly-dry leaves and at a minimum of 25 or 28 ° C temperature (77 to 82 ° F) otherwise you'd better put your powder in water right away and make a regular dilution. Nicolas says that sulfur-dust spray is 1000 more potent against Oidium than the soluble spray, but it's more tricky to do. Under its powder form it will interact with oxigen and burn the threat of Oidium. On the picture above you can see the spray tool he found for his herb teas, it's made by Holder in Austria, there's no other as efficient, it makes the spray cloud go around and it wraps the vineyard perfectly. His friend Florestan drops at the facility as we're speaking and Nicolas tells him how he used the sprayer, saying he put a 4kg pressure at a rate of 105 liters/hectare for his herb tea. Now he is using sea water for his preparations, something like 15 %, it's delivered to him by friend Cyril Zangs who is known for his great artisan cider-making in Normandy, in Gloo near the town of Bayeux. Sea water with its natural salt is a powerful anti-germs agent. Florestan is a winery-products dealer but he's very open and genuinely interested in everything Nicolas does although he sells the usual products to other conventional wineries. Nicolas says that the water is the disregarded component for organic preparations, many growers filling their tanks carelessly with tap water which is unbalanced and often anihilated the healthy effects of te herb concoctions. Florestan sold him something that reequilibrates the pH of the water because here the minerality of the tap water is so high that it ruins whatever herb preparation you made, if uou don't correct the pH you end up underdosing your preparation and the vines will not benefit from it, the reason being the unbalanced pH degraded the potential benefits of the preparation by combining with the active elements. Nicolas uses the water of his well, there's no added chlorine for one thing, and no medicine residues. He has a check on its pH to correct it, for example with white vinegar to put the pH back on balance. Otherwise as a bigger machine he uses this vintage 50-horsepower Ford 3000, a tractor which he bought to a grower who didn't use it anymore, it was stored in a barn and the grower didn't even know what was wrong with it. Nicolas has a technician have a look, repair it (it was only the glow plugs that were worn out), changed some wirings for the lights and it was back to life. Now when he drives it to his parcels people want to get in touch with him and buy it. I checked the classifieds page on Agri-affaires for this type of tractor and it seems to be very cheap with prices beginning at 2000 € if you're ready to make a few fixing first. Actually he doesn't even use this tractor to plow but only to pull the trailer holding the small Lamborghini, the latter as a crawler not being allowed to be driven on the public roads. He also uses the trailer to bring back the boxes of grapes to the chai. Speaking of the harvest time Nicolas says that he doesn't put any sulfur on the incoming grapes because his policy is to bring in only grapes that are in perfect conditions, sometimes he hasn't to sort anything. Nicolas also told me that if one day he owned a vineyard, he'd love to put it back on posts [échalas] like it was in the past, the wires and trellising are fairly recent (in the first half of the 20th century), that's something few people know, they were designed for the mechanization of the work, there were no wires before that. And Nicolas who is working on magnetic fields says that the metal wires have an impact in the sense that with the relating magnetic fields it disrupts the vegetal like of the vines. If he plants one day with posts he'd like to plant even less than 6000 vines/hectare, ideally he'd like to be able to drive his crawler tractor around the posts on all sides, not only the inter-row stripe. __ Sauvignon 2014, virtually his first vintage back in the Loire, it was made with purchased grapes that were pressed at the selling grower, the juice being brought back here and vinified here. Vinified in barrels (he has another cuvée of Sauvignon that was vinified in vats). The wine is very surprising in the sense that it doesn't have at all the Sauvignon nose, no "cat pee" at all here. Nicolas says that he vinified it in the Chenin style. It was bottled in september 2015 without filtration (it's not really turbid at first glance), it got only 1,5 gram at racking, none at bottling he decided the adding because it was very cold at that time and the cold temperature yields oxidation for the wines. Many winemakers erroneously think that it's best to rack and bottle when its cold but that's the opposite, cold temperature encourages oxidation. For his other wines he usually avoids the cold season, racking and bottling when the wine is at 17 or 18 ° C (62,6 - 64,4 F), he says the wine is more stable at that temp. The mouth is generous and ample with aromas or raisin and dry apricots. The mouth feel on the sides of the mouth is exquisite, nice richness with light tickling on the tongue. Nicolas says he's sorry he couldn't find an arrangement the following year for the picking and selection of parcels. Nicolas says that with the long élevage he understands why it's important not to drink the wines too early, this wine (like the Chenin he adds) was very different months ago and now it really opens to a new, unforeseen dimension. He says as he bottled it in september, some clients had already drank all their bottles by december, he has a customer who called, saying that he had just opened his last bottle of Chenin 2014 and realized that it was top notch and that he had opened the other bottles too early, he wanted to order more but Nicolas hadn't any left. He says that because there's no SO2 the wine can get impacted by the bottling but it recovers over time, you just have to wait the proper time and the payback is rewarding. Speaking of bottling, Nicolas shows the filler he is using, it's a gravity filler, he puts the vat above the filler with a forklift and the wine goes down to the filler's tank without using a pump. There's no pump in this chai he says, he considers pumps to harm wines not only because of the vibrations and pressure but because of the magnetic fields, something not really examined in the winemaking process. He says when a pump is set to work slowly the pressure/vibrations wouldn't harm the wine but the magnetic fields of the rotor will, especially that wine like water is very conductive. This gravity filler can still do some 1200 bottles an hour. Because he has no pump and doesn't wish any around here he also uses the forflift to move the juice from under the press and fill thereafter the barrels or the vats. You can see the harvest boxes above : Nicolas uses only 90-liter boxes [caisses à vendanges] weighing 45 kg when full of grapes, the advantage being that each picker fills a pucket and Nicolas pours the bucket himself in the boxes so that he can check the grapes. When pickers fill directly the boxes you can't make such a check on what the pickers do, especially that for most of them it's the first time they pick. Even with this larger volume there's no juice flowing, and this modus operandi allows a higher quality. __ Chenin 2014, from the vineyard he rents and farms all along the year. Picked october 2014, pressed here with an old Bucher press, vinification in casks after 5 or 6 hours for the settling of the lees (débourbage). The racking and bottling took place in september 2015, right after the Sauvignon 2014 and the Saint Peray 2012 (he kept the Saint Peray 3 years in barrels). The wine was shipped to Japan around april 2016, after a few more months of rest in bottles in the cellar. The wine is just superb, it coats the palate, sliding beautifully to the throat. Exceptionally pure and majestic. Good balance even if you feel that it's no low in alcohol. My stomach speaks and there's this familiar tickling on the tongue, the right signals are here. There's never been any SO2 in this wine. In 2014 for the Chenin he picked in two passes but afterthen the two batches blended together, anyway it was a small volume, only 6 casks altogether or 13 hectoliters. He says that when he picks he doesn't use a refractometer to decide, he just tastes the grapes, sometimes selecting a few rows and choosing to let the rest wait more before picking. There was lots of sorting in 2014. The fermentation starts in the casks, he says sometimes it needs 4 to 5 days to start but once in the casks he says there's nothing to fear for the juice, and for a good reason he says it's because the raw material is top notch, he picked and sorted pefect grapes and when you do that it's very safe even if the wine takes a few days to start fermenting. Asked about the alcohol Nicolas says it's about 12,8 % but he adds he only learns about it late because he doesn't want to be influenced by this information earlier in the vinification : many vintners think the alcohol level is a quality sign but not for him, he doesn't have a refractometer, for him ripeness isn't known through a refractometer, a grape can be ripe at 10,5 and another one not ripe at 13, you really determine ripeness by the balance sugar-acidity and the taste, like a fruit that may be red but isn't tasting good yet in the mouth. The Bucher press is not new but it's pneumatic, the good thing being that there's no computer in it and that in case of problem he can repair it himself or with the help of a friend who knows electromechanical systems. This is the same with tractors, you need to be able to fix them without having to pass through the dealers and their technical services. For his casks Nicolas uses mostly second-hand barrels which he buys from the Tonnellerie Mercurey, it's a small cooperage but they overlook all the process as they're also merrandiers themselves, that is they also source the wood and do the cutting of the selected wood parts in the trees. They can get used barrels from their clients and Nicolas who is friend with Christian Passemard there asks him what he looks for, not casks that went through Meursault for example because they yield wines with butter aromas, he's rather looking for barrels that went through Corton or Puligny, with wines that are more incisive and because the casks used there are less oaky. Christian knows what he sold to his many clients and he knows the type of toasting each batch of barrels got for these wineries. He needs 40 casks for his whites in 2016 and he already spoke to the cooper so that he can scout where to find them. One of the wineries he buys second-hand casks (they can be 5-wines old in some cases when he buys them) with which he's very happy is the Domaine Jacqueson in Rully, he says the wines are not the types he likes but the barrels are very well maintained, they are kept always full from vintage to vintage so that there's no use of sulfur wick in between the vintages. Nicolas has also been making trials for 3 years with their new barrels and he's pretty happy with their work. We drive a short distance over the hill to the vineyards to see a couple of his parcels, this is the Côt, 30-35-year-old vines that suffered from frost last april. They're pictured here where it borders his conventional neighbor. It's interesting to see the fracture line between the two vineyard managements, Nicolas pointed me to his last row on this side and you see clearly a huge difference in the height of the shoots : because of the soil enhancement with fertilizers, the shoots of this last row (nothing has been trimmed on his parcel) have gone at least 30 centimers above the other rows. He noticed that he sees also more signs of weekness because the chemicals "overflowing" on this row made the vines more prone to disease and unbalance, he sometimes has to make an additional herb-tea spray on the border row just for that. When we look at the health condition of the two parcels it looks puzzling : his own which had only had herb tea sprays so far, no chemicals of course and not even copper is much more healthy looking while the conventional one shows obvious signs of mildew in spite of the supposedly-efficient chemotherapy they got. Normally half of the inter-row is Nicolas' but the grower didn't spare the stripe of earth from its herbicides and fertlizers. His friend Florestan who also sells these products to conventional vignerons is keenly interest by what Nicolas does and he went by himself to the parcels to see what we see now : a parcel that got no chemicals and no copper and went throught unharmed by mildew. I think this place should be visited by anyone who thinks a vineyard will fail if not sprayed with chemicals and/or copper. He has 6 rows of Chardonnay in this parcel, he shows me how to distinguish the two varieties : the shoots are redish for the Chardonnay while the Côt's is greener (I think by the way that the rows bordering the conventional parcel are planted with Chardonnay). You can see here on the right the two shoots, Chardonnay (left) and Côt (right). Speaking of the frost he's happy to see that replacement fruit grew, he didn't think at the time he'd have much fruit. He didn't take an insurance for the fruit loss. Nicolas's work to put this parcel back in track has not only to do with the type of healthy sprays he does but also with the pruning : faulty practices in this fields have impaired the sap flow, which is so important for the vine health and ultimately for the grapes. 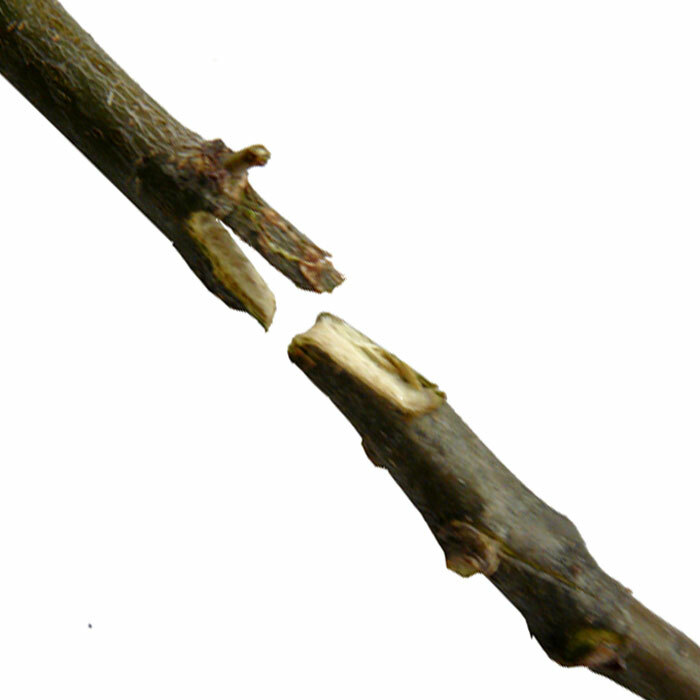 If you don't prune correctly, year after year the sap will make unnecessary detours in the vine and weaken the plant. This is a hard thing to conceptualize and apply on the ground because you have to visualize what a few years of concerted pruning can do to bring back a more direct sap flow. This video helps you better understand the issue. Nicolas knows that for example for a given vine he'll cut precisely here and end up rejuvenating the wood. It's been 3 years he's working on these vines and there's a long way to go because of years of mismanagement in this issue. Sap, he says, always flows through the lower part of the wood (when it's horizontal) and goes back through the upper side. He says the sap flow issue is very trendy in the natural-wine milieu but few know how to prune with anticipating 2 or 3 years ahead to get it back on tracks. He noticed that the only person he succedded to teach about the sap-flow recovering through pruning was someone who had never pruned, a Japanese student named Fumihiko Sonoda (he was a sommelier in Japan) who did a training here, he now works with Ludovic Chanson in Montlouis. The guy learnt very quickly and he just have to progress in the planning ahead (pruning with an anticipation of what it does in 2 or 3 years). Further we have a look at the parcel of Sauvignon, it's maybe 50-year old and the grass looks higher under the rows, this is typically a parcel many growers including some organic would consider dangerously unkept especially regarding the myth that high grass encourages mildew. This parcel also had to this day in 2016 only herb tea sprays, no copper and not even sulfur, that truly amazing when you remember the heavily humid conditions we went through, organic farmers should come here and learn, there's an alternative to copper and sulfur... It looks vibrantly healthy, impressing, here is a happy vineyard and I'm sure it rewards the grower with the wines. Nicolas doesn't say everything about his herb tea but at one point he says he uses black soap, a spray with a proportion of black soap with the herb teas so that it sticks well on the leaves. He says what is important of this job is being able to observe his vineyard and experiment, that's a way he found ways out of the copper/sulfur sprays. It's been 10 years that he's been doing trials with plant concoctions for his sprays, not only the ubiquitous horsetail, using for example wild pansy, fern for insects, of course a bit of horsetail and nettle, then amaranth or tansy. He makes separate herb concoctions and does the water dilutions doses on a case-per-case mode. Each plant has virtues and for each parcel, some time isolated rows he'll do the recipe, doing the spray with a backpack sprayer. What for many growers is a constraint is for him a pleasure, tracking what herb tea will do good for what ill, spending time observing the situations is a passion for him, and he deplores that's not the case even for organic growers who set up a routine of regular copper/sulfur sprays every few days withouth taking the time to work differently. We drive further to the parcel of Chenin. Nicolas tells me in the car that you needs lots of time to have the soil recover its balance when you convert a parcel to organic, you do that with natural compost and manure which he puts fresh inside the soil : he opens the soil, puts the manure and closes it back, if you leave the manure on the surface it'll loose its properties. There's a lone cherry tree in the middle of the parcel, he says it's good because birds regularly nest in it. It's good to see Nicolas' Chenin, let's hope he gets his hands on another parcel of Chenin so that mopre people can enjoy his wines. This parcel is about 30 years old, he began to prune it in 2013 and he's on his way to make it recover from years of faulty pruning, there's still long way to go but he just rents the parcel. From what grows naturally between the rows Nicolas says that you can see differences in the soil, a part of the parcel having more nitrogen because you see clovers [trèfles] growing and another part is more acidic because you see concentrations of Rumex Acetosella [petite oseille]. What is good with petite oseille is that it dies by itself soon even though it comes back every year, and it brings auxiliary insects. I asked about Esca and Nicolas says that through his different pruning mode the rate of Esca cases dropped dramatically : first he prunes late because when you prune early in the season the sap is moving back to the roots and any pruning or cutting in the wood is an open door for bacteria and it can head easily to the rest of the plant. He opts to prune late, like beginning mid march and ending mid april (this year) when the sap flow is back up, because the cut in the wood will not result in bacteria reaching the deeper wood, you'll see by yourself the bleeding hinting that the sap flow is indeed outward, not inward, that's the right time to be safe, and the resting time during all winter allows the vine to renew its starch reserves in order to be fruitful again later in the season. Other vignerons routinely begin to prune in december, that's an open invitation to funnel bacteria and fungi inside the vine.And once he finished the pruning he does a special spray that includes homeopatic doses of bouillie nantaise (a fungicide) goat-milk whey and lime in order to disinfect the vine wounds. Sauvignon is particularly sensitive to Esca and when he arrived in the parcel he had to take away a few hundred dead vines that had been left in place and last year he found only two casualties. The type of grafting is also important, the greffe à l'anglaise [English graft] being much better than the greffe Omega, the latter yielding a wrong sap flow from the start, Omega is to ban totally. He shows me several grafts here and he can read immediately from the wood what was wrong (that's when I realize that it take years and experience to see and understand these things, I don't see easily what he points to me....). __ Côt 2014 (5 casks), the first red he made in the region. Color, not to dark. Unfiltered, no added SO2 of course anytime (and will not get any). Maceration of destemmed grapes in the Vaslin resin vat (you can see it near the bottle filler), pressing and back into a vat. Enjoyable nose of dark cherries. In the mouth, cherry clafoutis. He says that in the first half of its life (until july 2015) this Côt tended to oxidize because it was in a vat (he hadn't enough casks then) and as a result it had become fragile when exposed to air, the vat walls being too airtight. So when he racked his casks of chenin in september he put the côt in its place and the wine got stronger regarding oxidation thanks to the natural micro oxidation. During its vat time the Côt was so fruit forward that he didn't like it, now he says it's nice. He says the wine needs to spend 18 to 24 months minimum in barrels. The élevage cellar seems bigger than needed but with his long élevage time h'll have easily 3 vintages at the same time, and while his vines recover he'll tend to get bigger yields too. It's amazing to think that the region is full of such caves and abandoned quarries which could be used to make wine again like people did in the late 19th century (and until the mid 20th), This one is huge but there are even more smaller ones similarly dug into the hills all over Touraine, like this ghost cave winery I uncovered a couple years ago. You can rent or buy such places for not that much as "modern" commercial wineries prefer to operate in neat "clean" new buildings. In order to keep enough height for the gravity filling of the casks and also get a suitable surface for the chai he replaced what was before a long slope going from the door to the cellar with an horizontal slab, he first pushed all the rubble back from the bottom of the cellar onto this slope to level it and then poured a slab which stops abruptly at one point in the cellar (pic on right), allowing him to maneuver all the chai room with his forklift and leave most of the cellar with its natural dirt floor. At one point we were speaking of the challenges of starting a domaine and Nicolas says that you can make wine with little financial means, many of the vignerons who bought 80 000-€ tractors got 40 % subsidies from the EU, same for the modern and flashy chais. He considers if you can't afford to build or arrange a chai by yourself you better do something else, he says that these farm subsidies has been doing a lot of harm to the farming sector, France has been going the wrong way since WW2 because of this propension for farm subsidies, it brings lots of dysfunction in agriculture and goes against the quality work. Now the farmers are addicted to the subsidies and they've been encouraged tp produce volume and not quality, ending with an overproduction of produces. State subsidies is a disease, everyone get subsidies he says, other Europeans and American farmers as well. And you get subsidies to take out your vines, plus more subsidies to replant, but only if it's with clones, you'll get nothing for massal selections, it's nonsense. He says that in the Languedoc and the south of France in general you had lots of local varieties that vanished because of the foolish policy of the authorities and their compelling subsidies to follow their directives. They took out the Aramon in the Hérault département, limited the cinsault carignan, mourvèdre and other varieties to push for Syrah but this is not the good region for Syrah. And the apparent easiness brought by subsidies pushed the vignerons to take loans for expensive machines and tractors they don't really need, putting them closer to bankruptcy if something goes wrong. Toward the bottom of the cellar there's a narrower gallery on the right side with what looks like separate bottle cabinets dug into the walls, looks great, what a site, you feel like in a mysterious temple devoted to Dyonisos... These wine fridges don't need maintenance and will literally last for ever. __ Chardonnay 2015, a single cask, made from the 6 rows (7 ares) we saw in the parcel. He does the topping up of this cask with the demijohn which you can see on the 2nd pic above. He'll rack this barrel soon (by gravity) and will take out the lees, the demijohn replacing the missing volume. Beautiful wine, a power feel with also this light tickling on the tip of the tongue that feels like a vibrant energy. He says that 2015 is more balanced than 2014, he could raise the yields which is good, it's better he says to make 30-35 hectoliters/hectare than 15, it's not good to force down the yields that much, you reach excessive concentration. Given the surface, one 15th of an hectare it makes yields of 32 or 33 ho/ha which is not bad. __ Chenin 2015, cask sample. not turbid at all, but still ferments, he offers me to put my ear in the hole, that's right, it sings. It never really stalled this winter, because the temperature is stable in all seasons. It still has 15 grams of residual sugar, seems to me the acidity must well balace it because it doesn't feel like 15. Nicolas Renard's wines can be found in 5 or 6 venues in Paris : Racines on Passage des Panoramas, also at Racines II, then at Régine Robert's A la Renaissance in the 11th, also at the iconic Baratin in the 20th and also Que du Bon in the 19th.